After a gap of almost 20 years since their first "recording" in which this band exploded with a powerpop sound to say no mod revival 79, now the Art Schools are back with a new record and a completely renewed sound: more pop / folk and songwriting. There are 13 songs with a very Manchester sound to put it all therefore a more indie hold; whose texts almost always deal with personal or rather introspective themes or views on the landscape. By now of the old formation that was a trio there is only the good Jordi Petit on the rhythmic or acoustic guitar that after his wandering between Murcia and Catalonia has conceived this new and very fresh LP in Barcelona recording it to the Railroad Track of Molins de Rei. In composing his "Opera sonor" he used the experience of musicians such as: Sergio Bastel on bass, Carlos Campoy on Hammond organ, Josep Pons on drums, Joan Calduch on guitar and percussion and finally Jordi Montero on violin and viola, which have brought a remarkable progress and rejuvenation of the original sound of the old Art Schools, making it take a leap forward in a truly masterly manner. I personally recommend the sound to those who love the Mod sounds that look at the U.K. and you will see that you will be positively impressed. Examining and illustrating the artistic scene surrounding the birth of Modernism and its simultaneous rise between the thriving Mod scene of the working class of the 1960s, Paul Anderson's book is the definitive work on the visual culture of Modernism. With interviews of key artists, members of the scene and a rich understanding of how the collision between high-level art and mass culture formed, the work is aimed at fans of history, music, fashion and art. Beautifully illustrated with a treasure trove of hundreds of color photographs of famous, rediscovered and rare images of the era, the book will be read and reread for years to come. 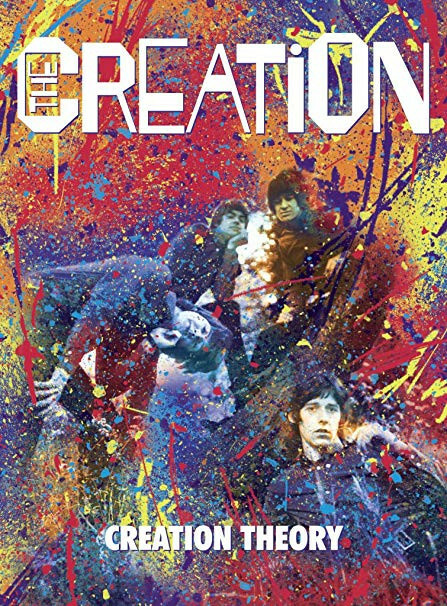 Paul Anderson, who previously also wrote "Mods: The New Religion", was one of the best writers on this subject and was considered by critics to be a very detailed work that has well delineated our subculture. Paul "Smiler" Anderson fell in love with Modernism in 1979. Since the 80s he has been involved in organizing numerous Mod events, publishing fanzines and organizing DJ nights in 60's / Mod clubs. 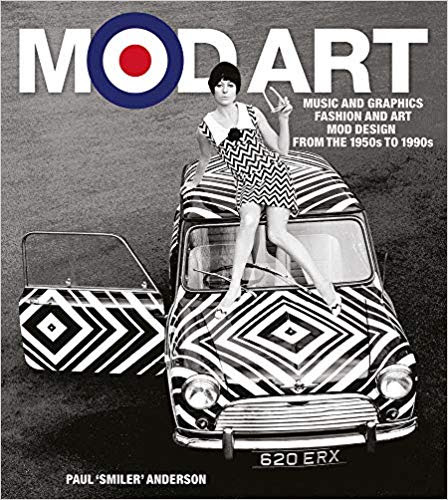 He was also co-curator of the biggest exhibition on the original Mods of the Sixties, and wrote many articles in magazines and related to many back cover in compilations of records dealing with Soul and R'n'B music. One must say something about the original Mods, not everyone loved going to see concerts of their own peers who made covers of the singers of soul, rhythm'n'blues or jazz. Actually we can say that the Action was created in the right way to climb the rankings of those times - in Reg King they had a great Soul singer, among the best in the UK along with Steve Marriott. The musicians, Alan "Bam" King and Pete Watson on the guitars and a rhythm section composed by Roger Powell and Mike "Ace" Evans, were very skilled at emulating the latest dance sounds on the other side of the barricade with a punch Mod added . Of course, they also really played the part, cool but with a strange wild air. Despite a parenthesis with the Parlophone and Fabs producer George Martin and Abbey Road at their disposal, they never managed to make a leap in the standings. Nothing to do with the quality of their efforts, that blow would not come. As for the Mods, perhaps what is strange enough worked in their favor, keeping the band like Ace face on the scene. Part of the reason why the Action may not have upset the rankings is that they were based rather on the cover versions. Of the five singles released by Parlophone (a French-only EP was released in 1967), only Never Ever was self-signed. It is a refined melody and one wonders why they did not have the head to write more, but many bands of the time have focused on a familiar song from the United States to initially establish a feeling with their audience. This simply did not happen in the Action. They were still great performers of the songs, in particular their extraordinary version of: "I'll Keep Holding On" by Marvelettes, a true classic. The first part of this collection presents the Action in their full-blown Mod Soul phase. All singles include the two sides, with the debut of the beautiful: "Land of One Thousand Dances" a very lively version with some nice guitar riffs (actually guitarists Bam King and Pete Watson are often a neglected joy in the first recordings of the Action) and never really would have been a success - playing the guitar was like driving the real pop sound in the band - they had a lot of charisma. The last single: "Shadows And Reflections" showed that they could be cut during the Flower Power stage and "Come On, Come With Me" is bright and bouncy, with alternating acoustic and tinkling touches. I will say that sometimes it seems that there is a little too much going on, the over-processing grafted by production is not always able to be the target naturally focused by the band. 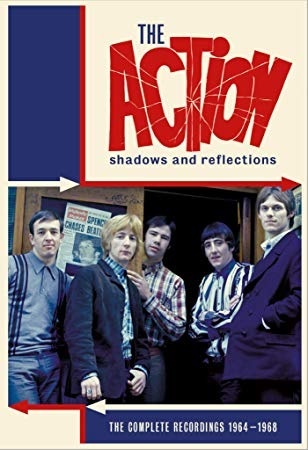 The 1980 compilation The Ultimate Action reintroduced the band in the Mod revival years, but this new collection is more deserving of that title. The format of the book is exceptional, including a long and informative story of David Wells' Action with the input of the band and a detailed division of the recording sessions. 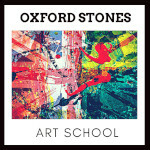 Carefully designed also with many vintage photographs. All this adds to a very well developed and complete Action story, which is more than ever an invigorating listening. A box with real style, love and attention to detail, is exactly what they wanted those ultra sharp blades that called the Action. A self-produced book printed professionally and hardcover, introduces us to what was or is the scene in Wales Mod. 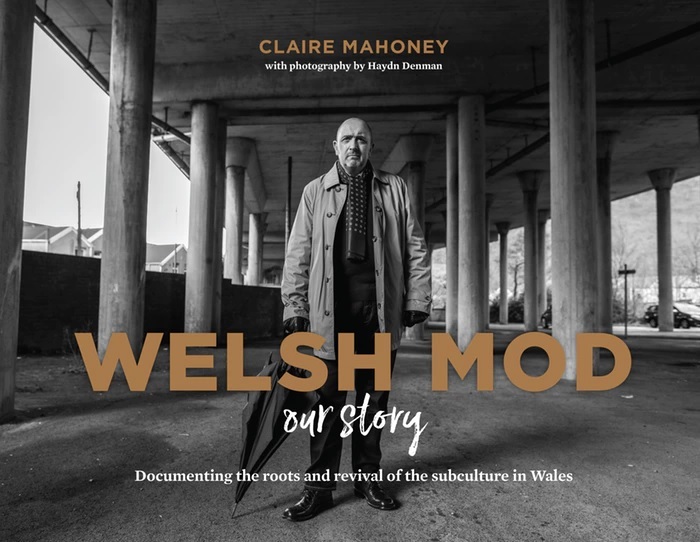 I must say that the personal stories of about a 30 of Mods are hilarious and really lead you to reflect on how the scene was flourishing in the 80s and early 90s and how today like all the British subcultural movements, even the Welsh alive of people we all say "grandicelle" and with a fair difficulty in the generational turnover. The book starts naturally from the boom of the revival of the '80s up to the present day, in short 3 generations of boys who have taken turns and have carried forward the Mod culture in those lands quite peripheral not to say harsh. With their joys and disappointments and also their experiences of life these "boys" try to transmit all their cultural baggage and leave a clear trace in the Mod European scene. The book is written in a flowing way, full of photos and has excellent graphics. Recommended for those who want to know also this facet of modernism across the Channel. To request it, write or go to their website: www.welshmod.co.uk the cost is 25 pounds.